Famed landscape architect Frederick Law Olmsted said every city should have a large park for 'unbending of the faculties.' Notable urban parks across the country offering respite from the hustle and bustle of the city include Law’s massive Central Park in New York City (843 acres), Savannah’s Forsythe Park (30 acres), and Boston’s Common (40 acres). 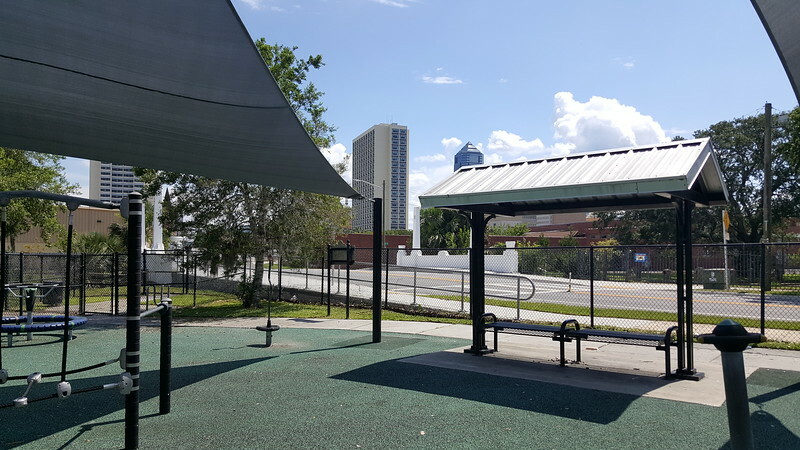 If you can look beyond the decaying infrastructure and prison-like fences that keep residents out, then you’ll discover Jacksonville has a space that was once worthy of being mentioned in the same sentence with some of the country’s most revered urban recreational grounds. Today, Confederate Park and playground, H.J. Klutho Park, W.W. Schell Park, and McPherson Park combine to form 37 acres of green space forming the border between Downtown and Springfield. 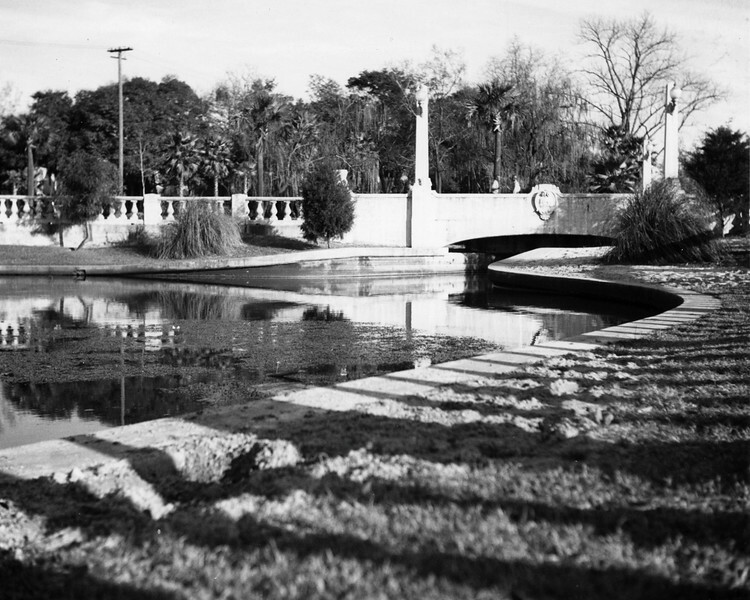 A look into the area’s history suggests that this was Jacksonville’s true, great urban park. Historic markers and history books are quick to mention that it was the site of the 24th Annual National Reunion of the United Confederate Veterans, but this urban park’s history is much more culturally diverse and important to the development of the city than that limited mention. The Sub-Tropical Exposition. Courtesy of the State Archives of Florida. What evolved into the city’s premier public grounds dates back to 1878, when 5.5 acres of land was acquired, establishing Waterworks Park. At the height of the Gilded Era, it was here where the Sub-Tropical Exposition was developed to lure tourists to Florida. When the enormous exhibition hall opened its doors to the public on January 12, 1888, guests included President Grover Cleveland, Frederick Douglass, and railroad magnate Henry Plant. A yellow fever outbreak hampered the hall’s ability to draw tourists, leading to a more functional use; the construction of waterworks pump house buildings that in 2003 were supposed to become the central features of a JEA Waterworks laboratory, museum and visitors center complex. In 1898, with Jacksonville being a hotbed of support for Cuba’s freedom movement, what would become Jacksonville’s premier urban park served as a Camp Cuba Libre campsite for the 49th Regiment of Iowa Infantry during the Spanish-American War. That same year, the Springfield Development Company deeded to the city for public use an additional forty acres of land that stretched north to Tenth Street along Hogans Creek. This was a fortuitous expansion, as a few years later, it was this space that stopped the Great Fire of 1901 from being much more devastating that it could have been. An additional 20 acres was purchased in 1907 for the creation of Dignan Park. Springfield Park shortly after the completion of the Hogans Creek Improvement Project. Courtesy of the State Archives of Florida. Comprised of Dignan, Waterworks, and Springfield Parks, the city’s premier urban park consisted of nearly 66 continuous acres, serving as an attractive border between Downtown, Springfield, and Sugar Hill. In 1914, it was here where the Jacksonville Zoo and Gardens got its start with a single red deer. 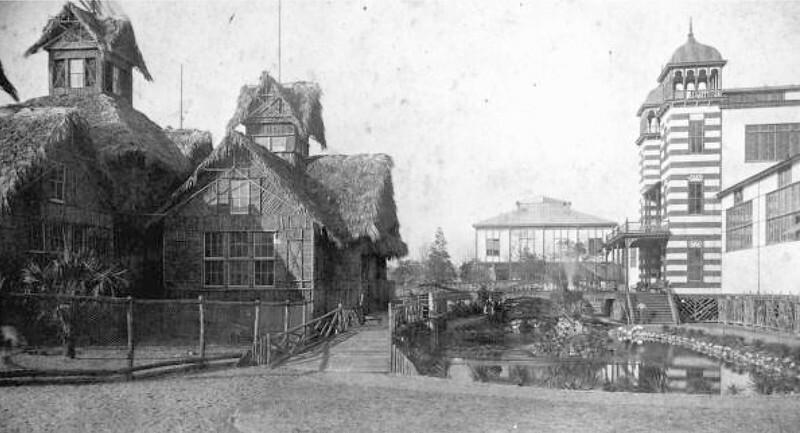 In 1924, partially due to flooding and odor concerns, the zoo was relocated to its current site overlooking the Trout River. 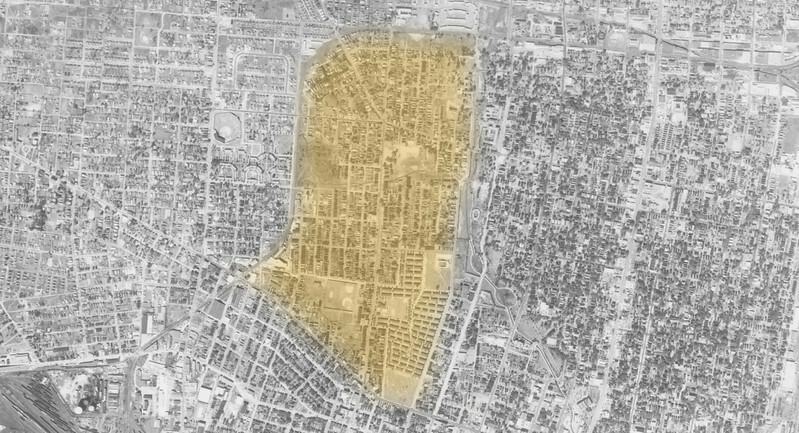 A 1940s aerial of the Sugar Hill neighborhood (highlighted) that shows Springfield Park and the Hogans Creek Improvement Project forming the border between the former upscale black neighborhood and Springfield. To overcome continued flooding problems, a $500,000 bond issue was approved in 1927 to finance the construction of the Hogans Creek Improvement Project. When completed in 1929, the H.J. Klutho-led design transformed the space into a scenic Venetian-style promenade featuring decorative balustrades, light fixtures, six vehicular bridges, three footbridges, and two lakes to serve as flood water reservoirs. The restoration of the Main Street bridge, part of this significant 1920s historic cultural landscape, received a Florida Trust for Historic Preservation award in the Restoration/Rehabilitation category just last month, June 2018, during the Florida Trust conference in Jacksonville. Home to baseball fields, a municipal swimming pool, dog parks, playscapes, tennis and basketball courts, a paved bike trail, fountains, gazebos, public restrooms, monuments and more, what was Jacksonville’s premier urban park already features a layout that embraces flexibility and amenities for different groups of people using the space and destinations throughout its path. If marketed properly, its promenade and authentic history could easily be used to strengthen its image and identity; all are critical elements of every great public space. Furthermore, adjacent historic buildings such as the Karpeles Manuscript Museum, State Board of Health, Waterworks, Scottish Rite Masonic Temple, Old Duval County Armory, and the Springfield residences lining the park are every bit as impressive as anything one can find in places like Savannah, Charleston, and St. Augustine. What it lacks, making management of the park a central concern, is a comprehensive, unified vision for uniting these buildings with the overall landscape, and funding sources for continued maintenance. 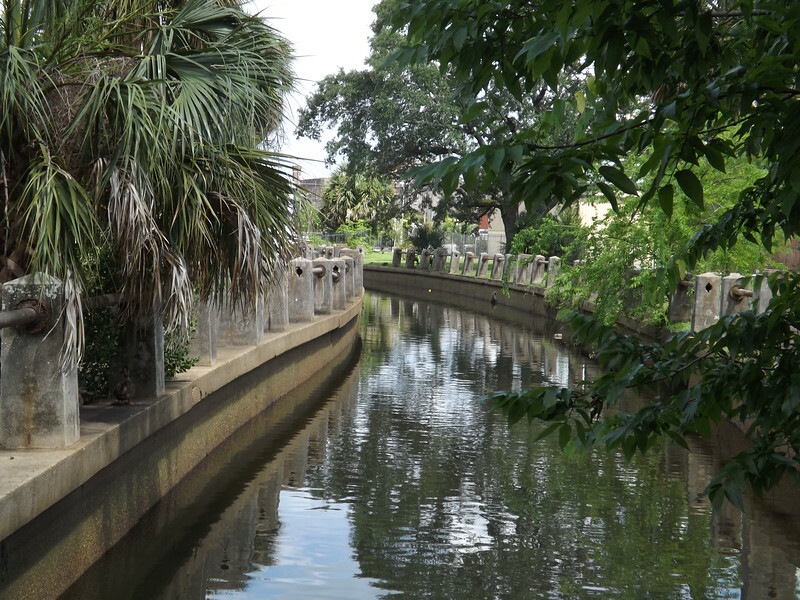 While Jacksonville may have one of the nation’s largest parks systems, it falls short when it comes to investing in the maintenance of these spaces. According to the Trust for Public Land’s 2017 ParkScore Index, the city’s park system ranked 90th when compared to the country’s 100 largest cities. The decayed and forgotten state of Downtown’s original “Central Park” serves as a visual microcosm of this problem. 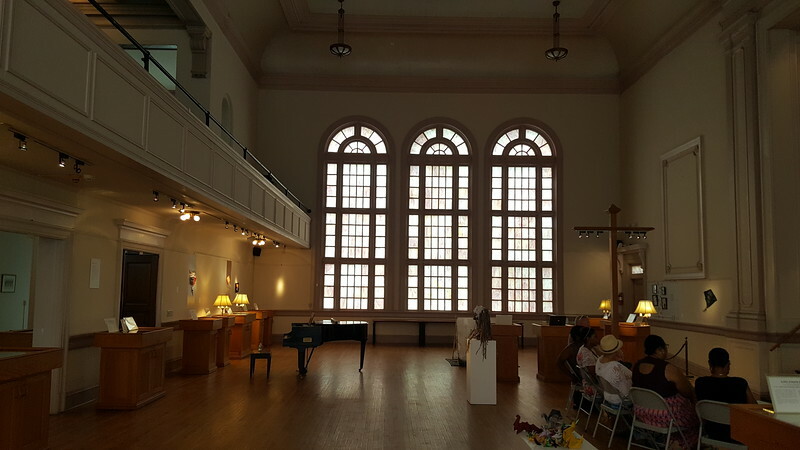 As conversations advance regarding the need for additional public spaces within the urban core, serious thought should be given to shifting our focus to maintaining, reusing, and promoting the grand historic spaces and landscapes we already have.